From Mexico to Central America, from the Caribbean to Northern and Southern South America—a basic common language unites these cultures, but the diversity within their customs, ethnicity, regional lingo– and their food– is quite broad. For many not familiar with the diversity of the Hispanic culture, it might not be as easy to detect the differences in cuisine from one region to another. Given that about 63% of Hispanics in this country are of Mexican descent, many people assume that Hispanic cuisine equals Mexican cuisine, but that is far from the truth. Read on to learn more about some Spanish terms we use for our products and in our recipes. 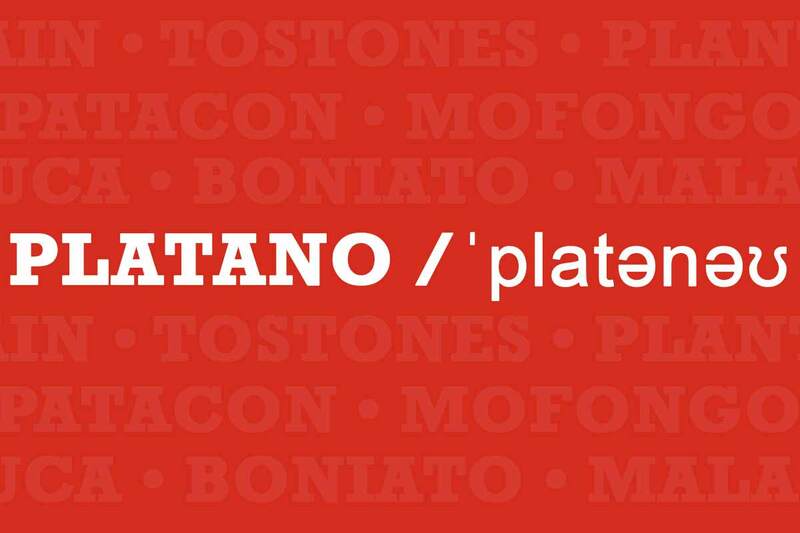 Spanish word for “plantain”. 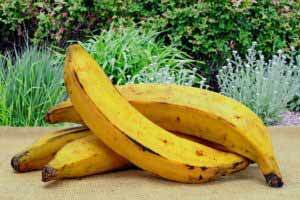 Commonly referred to as “cooking banana” or plátano in Spanish, plantain can easily be mistaken for a banana but are larger than a banana and must be cooked before eaten. 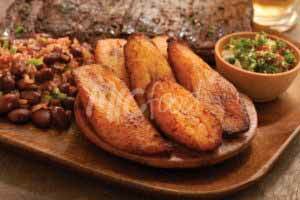 Plantains are a good source of Potassium and Vitamin A.
Spanish word for “ripened”, maduros also refers to a Hispanic side dish made up of sweet ripe plantains that are typically sliced on a bias and fried. Mofongo is a traditional Puerto Rican dish made with green plantains which are then fried, mashed, and seasoned in a wooden pilón. 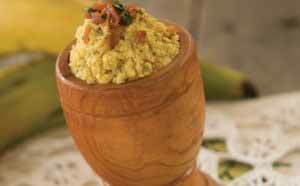 Variations of mofongo can be found all across the Caribbean, often going by different names such as Fufu or Mangu. Malanga, also known as yautía or cocoyam, is a starchy root vegetable. Malanga has a rough, hairy outer skin, with a crisp, white or pink flesh. Once prepared, Malanga’s earthy flavor can be likened to that of a nut. The taste is unlike most tubers or roots, but its texture is similar to that of a yuca, which makes Malanga versatile enough to be prepared using a variety of cooking methods. Boniato, botanically classified as Ipomoea batatas, is a root vegetable in the same family as sweet potatoes. Boniato goes by many names, such as batata, camote, kamura, white sweet potato and even the Cuban Sweet Potato. While boniatos lack the bright orange flesh of a sweet potato and aren’t as sweet, they’re just as versatile in that they can be mashed, fried, baked, steamed or roasted. Yuca, commonly known as cassava or manioc (not to be confused with yucca), is one of the world’s most versatile vegetables. 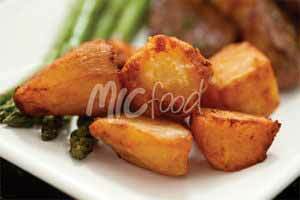 Use it fried, boiled, or mashed, yuca is a nutty-flavored starch tuber native to South America that is also found in Asia and parts of Africa. Together with other tropical root vegetables like yam, taro, and most notably the potato, it is an indispensable part of the carbohydrate diet for many. 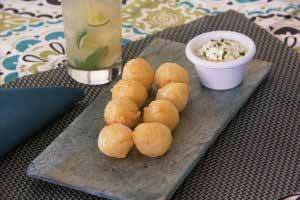 Pao de Queijo, or Yuca Cheese Bites, is Portuguese for the warm appetizer also known as “pan de queso” in Colombia. 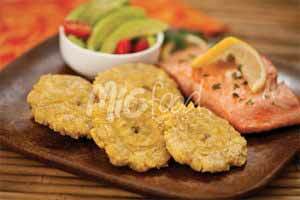 Whatever name you choose to call your favorite tropical treats, you can be sure to count on MIC Food® for all things plantains, yuca, and more! Ask Our Chef how you can incorporate tropical products into your menu today! Hungry for more? 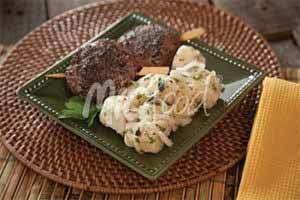 Check out our recipes page for more inspiration!